l launched the first iteration of our website in 2005, and later this WordPress site as a blog at the very end of 2011. So for a number or years we had two separate sites – one where our supporters could donate to receive our educational materials and one for our articles or blog posts. There were links that connected the two websites on each site, however I have long wanted our educational initiative housed under one roof so to speak. 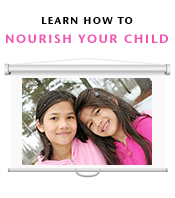 I have now combined the 2 into one website right here, all combined under our domain nourisingourchildren.org! As an aside, nourishingourchildren.com also points here. This site features responsive design which means that it changes its layout to fit into a desktop or laptop, tablet and mobile phone. The donation request on all of our educational materials has been lowered. In addition, please enjoy 50% off of the current donation request for these educational materials: our e-book, audio book, PowerPoint, study guide, and food pyramid comparison chart. The hard copy of our DVD is out of stock and the DVD .mov files are not included in this offer. See our newly created educational tools page and click on the products you have an interest in. Use discount code Nourish50 until the end of the month when you check out. You’ll have the opportunity for immediate download. One Response to The launch of a single website and our educational materials for 50% less. Congratulations on your hard work. The website looks great and it’s such a great idea to combine the two. I hope you have a great turnout with the discounted rate – it’s so generous! !